Earlier today, Clone Wars writer Brent Friedman sent out a couple tweets about the future of the TV series that raised a few eyebrows. The first one mentioned that his favorite 2012 moment was, "Sitting in the conference room at Skywalker Ranch w/George, Dave & the gang as we plotted the end of Clone Wars." Best 2012 moment: Sitting in the conference room at Skywalker Ranch w/George, Dave & the gang as we plotted the end of Clone Wars. When followers reacted to this tweet, he replied elaborating on what exactly he was referring to by stating that, "'End' is probably the wrong word. I should have said we plotted the transition from our TV series to Episode III." @chrisjallan "End" is probably the wrong word. I should have said we plotted the transition from our TV series to Episode III. This exchange has fueled much speculation among fans about when the series will end, with some suggesting that Seasons 6 or 7 may be the final one. 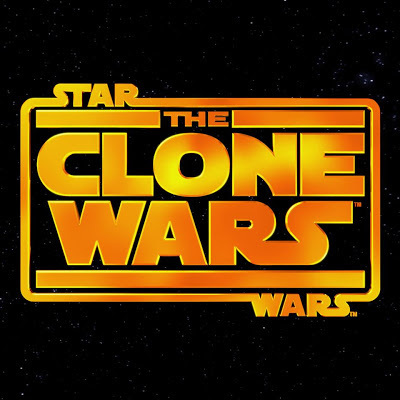 However there are a few reasons to believe that the Clone Wars will not conclude anytime soon. Firstly, in an interview at the premiere of Season 4 in September 2011, writer Christian Taylor stated that, "We are 3 years ahead of you guys. We've already written season 6." It logically follows then that Season 8 is already in early writing stages. Additionally the Star Wars Underworld was told by an inside source several months ago some details about the final/transitional arc that Friedman is referring to in his recent tweets. The arc has 3 episodes and will tie the series into the Battle of Coruscant that takes place at the beginning of Revenge of the Sith. Dave Filoni asked George Lucas if the arc should be placed at the end of Season 7, but Lucas told Filoni to continue writing episodes for more seasons. This supports the hypothesis that Season 8 is in early production. With the Clone Wars series hitting its milestone 100th episode this Saturday, and possibly moving to a Disney owned channel in the near future, we can expect the series finale to take place at the end of Season 8 at the earliest. Once writers cease mentioning participating in writers' meetings, we will know that the end is 3 years into the future. But taking what Friedman said today into account, the "end" of the series may only be a transition to something else. So can u guys put the rest of the series on Netflix u know seasons 6 7 and 8?